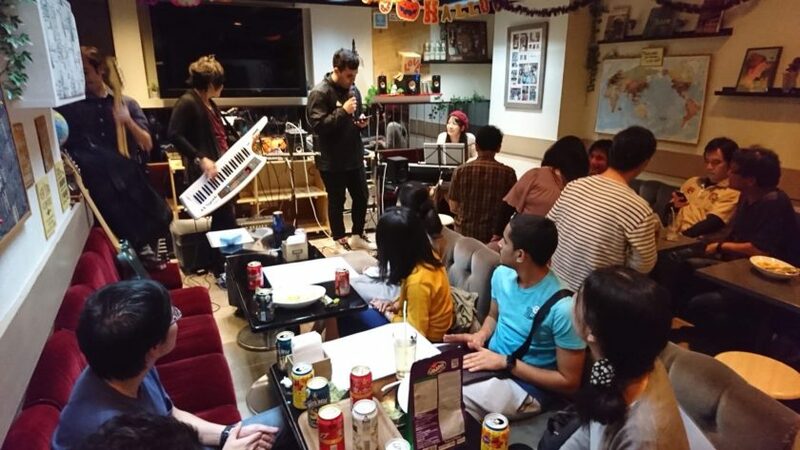 The main purpose of this party is to sing English songs. This is OPEN MIC event, you sing with music played LIVE by professional musicians in acoustic style. And, if you don’t really want to sing, that’s totally fine, too. You are welcome to listen to our music, and have fun talking with many other people. Let’s enjoy this exciting event together !!! We will have “live time” party, that is performance part for people who have specific song. Music players need rehearse for the specific song, so please let us know the song title before 3th, if you like to perform in live . We prepare for drinks and snacks for you!! 〜Language exchange party Vol.12 〜15th Jun. Copyright© ぽこさんち All Rights Reserved.